What a beautiful wreath. Store bought wreaths are not as nice as this one. Do you make any other designs? I design many themes of wreaths such as deco mesh, grapevine, any holiday or special occasion, etc. I just finished designing a shabby chic wreath that is made with organza and burlap. All flowers on this wreath were handmade from burlap. These flowers are a flashback of the sixties and has become popular. Will be posting a picture soon. The main thought I would like to share is I design and create many projects. Can’t wait to see more or your themes. Will contact you about purchasing something. I’m liking what I see. I look forward to reading and viewing your future posts. Will you be posting more info on your wreaths? I absolutely love this wreath! 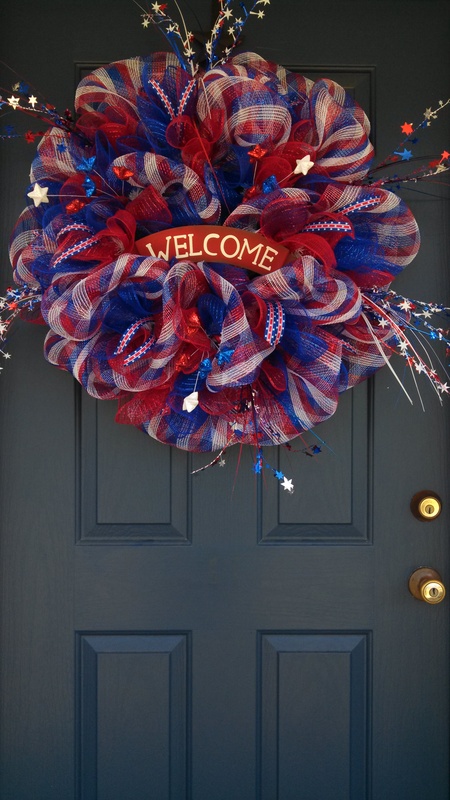 !….It’s beautiful!…I’ve been looking for a wreath with these particular colors for the upcoming holidays. Haven’t seen anything like this in the stores. I will be contacting you on a purchase. Do you have any other wreaths that are Holiday themed available? My vision for this blog/website is to be inspirational along with posting the various products I create to sell.